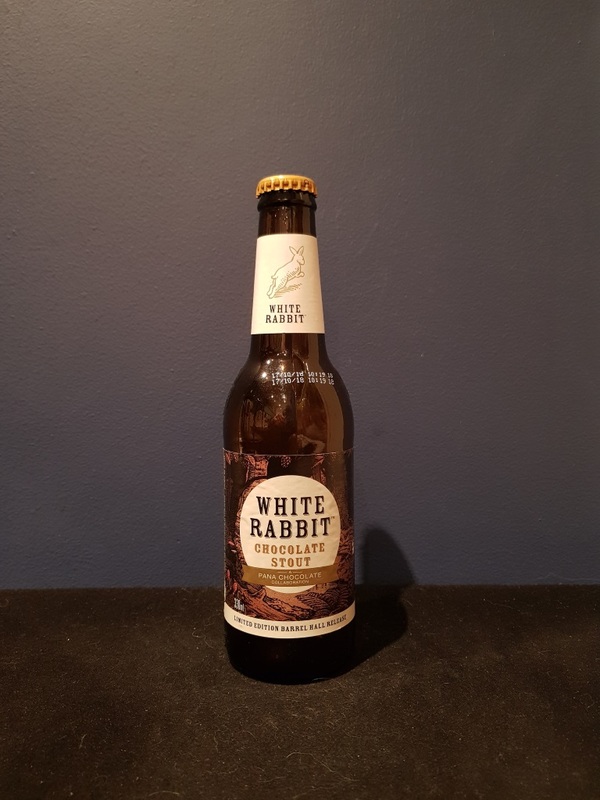 Beer #2787 is a chocolate stout brewed by White Rabbit in Healesville, Victoria, Australia. A smooth and creamy chocolate stout, fairly sweet but with roasted malts and some subdued but obvious chocolate (pana). The chocolate balance is just right, unlike some beers of a similar ilk. Very good! The bottle size is 330ML with an alcohol content of 5.60% (containing approximately 1.50 AU / 1.80 UK standard drinks), and it costs $3.66.